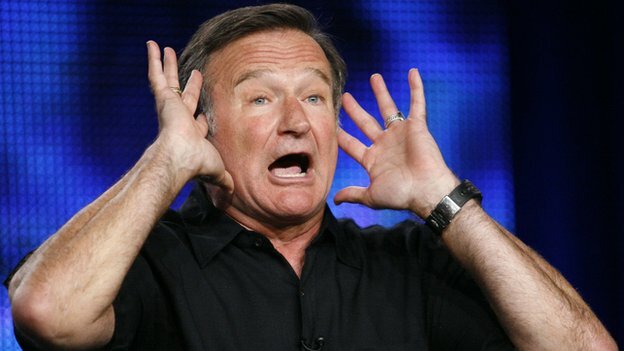 When a popular public figure like Robin Williams takes his own life, the public needs a chance to grieve. The best way to do that: by listening intently to our international PR firm tell us how to leverage these suicides to build our #brand. Soulless PR conglomerate Edelman yesterday published a blog post on their site entitled "Carpe Diem- Seize the Day," which is exactly what you, the Edelman client, should be doing when a celebrity such as Robin Williams hangs themselves. We hasten to note that Edelman is far too refined to offer up a bald, grotesque appeal to business interests; rather, they couch it in the phrase, "an opportunity to engage in a national conversation." And how can you, the Edelman client, benefit from this National Conversation About The Latest Celebrity With Mental Illness to Commit Suicide? It is your lucky day! "At Edelman, we are in the business of helping our clients create or join public conversations." Here are a couple of real PR success stories that Edelman media relations expert Lisa Kovitz offers up, as examples of people turning lemons (Robin Williams commits suicide) into lemonade (publicity for a brand called #you): "CNN also reposted a piece by their Eatocracy (food blog) editor, Kat Kinsman, on her teenage depression experience. Local TV websites are posting resources on depression. This Forbes contributor (on health topics) had the added advantage of living in Marin County and having met Robin Williams, as well as being close to a suicide prevention group." If your organization or client has relevant experts on specific topics, is there a system in place to identify them and reach them at any time of day? Do they live anywhere near a major city or even a town with network affiliates? Do they have web conferencing on their phone or laptop? Do the key cable and network bookers know who they are? Do they have something short and clear written to send out in real-time about their expertise/field of study? All these questions should be answered in advance of need. Does your organization or client have a local aspect to a story (e.g., in this case, the Bay Area?) or do they have personal stories that could be shared (as the CNN andForbes bloggers did within hours). Having an understanding of who your experts are expedites the process of local and personal communications. Suicide: only a bad thing if you don't have a communications strategy prepared.